It’s a pleasure to sit down with The fundaMentals. You are promoting two 2014 releases – a six-track EP named Full Mental Jacket and Locked and Loaded, your latest single . Can you describe your creative process to us? How does a song go from an initial thought to a complete song? With The fundaMentals the songs usually start with a riff. The hook (hopefully) comes from that and each member of the band adds their own personality to it to make each song what it is. Which fundaMentals cuts are your favorite and what makes them so? “Streets of Time” is a pretty song with some amazing lead guitar. “I Do It All For Rock ‘N’ Roll” was written about spending years playing dives just for the love of the music, so it’s very autobiographical. And “Locked and Loaded” is a big favorite of mine because it really expresses my crappy attitude toward the world in general lol. Which artists are the greatest influences for you and your music? Our influences range from AC/DC to the MC5 to Hendrix to Motown to whatever else you got. We all have different tastes which span a large range of music. If I listed them all it would take weeks. What process do you utilize concerning ordering and the ultimate decision whether to put a track on the album? We do it by feel. We play the songs and we record the ones that have the energy and feeling we’re looking for, then put them in the order that sounds best to us. Which sort of social media website have you had the best successes with? What about these online services are different from the traditional face to face meeting that musicians traditionally utilize? We’ve gotten the most reach with Facebook but I don’t think you get a real connection like you do meeting someone face to face. But with faces like ours we’ll take what we can get. How can individuals find samples of your music? Visit the Music page at our website www.fundamentalsrock.com. What does the rest of 2015 hold for The fundaMentals? We’re going to keep playing and writing and recording and having a good time. Hopefully some synch licensing deals will come thru, but even if they don’t we’ll keep….fundaMentalling. Do you have any final thoughts for NeuFutur readers? 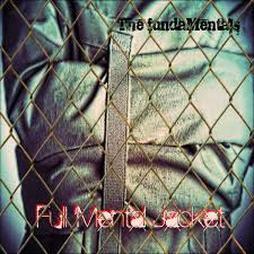 If you like high energy rock that doesn’t take itself too seriously, come check us out at www.fundamentalsrock.com. We don’t think you’ll be disappointed.